Oil prices have been rising and Norway’s economy is surging ahead, but that hasn’t made the Norwegian krone stronger, as might be expected. It weakened considerably against the US dollar on Tuesday, with analysts blaming political unrest in Italy that’s hit the euro, and even a weaker krone in neighbouring Sweden. It cost more than NOK 8.30 to buy a US dollar just before noon on Tuesday. That the weakest level so far this year and the plunge came rather quickly. The dollar had been hovering around NOK 8 for several days but started climbing on Monday and commanded NOK 8.20 Tuesday morning. By lunchtime, a dollar had become even more expensive. 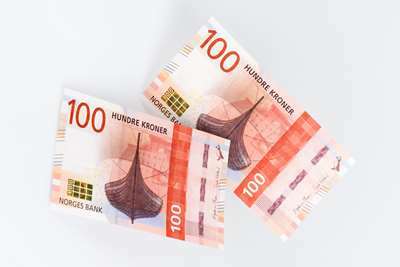 The Norwegian krone has remained relatively strong, however, against the euro, which is widely viewed as the main cause of the weakness against the dollar. Political unrest in Italy, which ranks as Europe’s third-largest economy, has battered the euro, making it relatively weaker against Norway’s currency. It cost around NOK 9.50 to buy a euro on Tuesday morning, compared to nearly NOK 10 not too long ago. At the same time, new numbers measuring economic growth in the euro zone have been disappointing. European stock markets also fell after Italy’s attempt to form a new government failed. Sweden’s krone, meanwhile, has weakened along with the euro and some analysts think that’s to blame for Norway’s decline against the dollar as well, because international traders often view the Scandinavian currencies as rather similar. “We have had a period with a considerably higher oil price over a long period, without that yielding the strength it usually does for the (Norwegian) krone,” Joachim Bernhardsen, interest rate and currency strategist at Nordea Markets, told Dagens Næringsliv (DN) on Tuesday. “The background here is the unrest in Italy, which has resulted in a weaker euro and a stronger dollar,” Bernhardsen summarized. The Norwegian krone has, however, remained historically weak against both the euro and the dollar this year. DN noted that since 1999, a dollar has cost an average NOK 6.91, while a euro has cost NOK 8.26. In that perspective, current exchange rates for the krone make it weaker than economic fundamentals would suggest. Nordea Markets and several other analysts think the krone will strengthen later this year, and even before the summer holidays. That’s largely because of the ongoing improvement in Norway’s oil-fueled economy and strong indications that Norway’s central bank will finally raise interest rates in September. Since the krone often strengthens three months before an expected interest rate hike, it could rise before Norwegians start traveling abroad for summer holidays.